On the off-chance anyone was looking for recommendations, I’d have to say that Tim Burton’s Beetlejuice (1988) is pretty much the perfect Halloween movie… macabre, creepy, bawdy, colourful, silly, sweet, sharp, laugh-out-loud funny, and wholly unique. 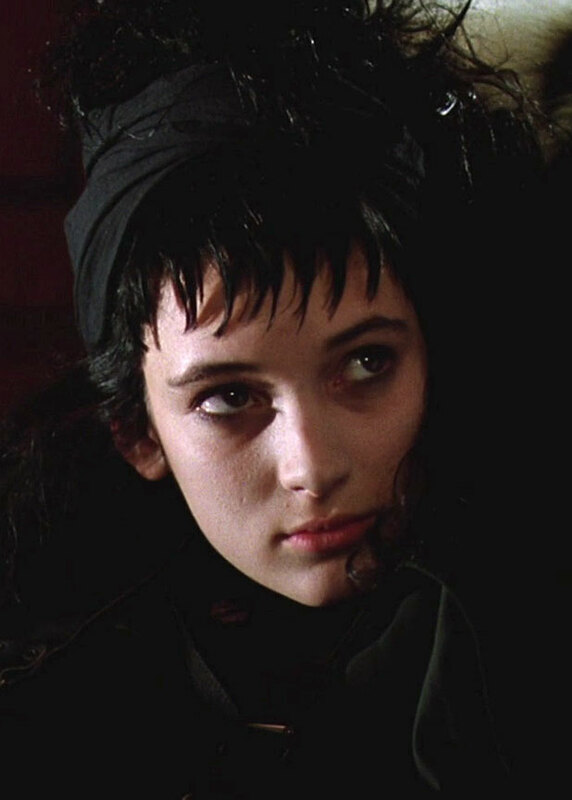 It’s also the movie that I credit with inspiring my perennial obsession/appreciation for goth-girls, thanks to its “strange and unusual” teen heroine, played by a winsome Winona Ryder. The main protagonists are an “adorkable” couple of small-town squares (Alec Baldwin and Geena Davis), who have a tragic car accident during their “staycation” supply run, and are doomed to haunt their former home, watching in horror as a big-city family with arty uptown tastes (Catherine O’Hara, Jeffrey Jones, and Ryder) move in and renovate/wreck-up their rustic refuge. In desperation, they seek the assistance of a sleazy, sweary “bio-exorcist” named ‘Betelgeuse’ (Michael Keaton) to drive the interlopers away… little realising the carnage that will ensue when they release this gross, garish ghoul from his coffin. Although Keaton’s show-stopping turn as the eponymous, ad-libbing antagonist is the main attraction here (along with the spooky visuals), Baldwin and Davis are very winning as the lamented Maitlands, while O’Hara and Jones get some great scenes as the dysfunctional Deetzes, along with their ever-present interior designer ‘Otho’ (Glenn Shadix)… and, of course, Ryder is super-cute/crush-worthy as the despairing Lydia, who’d rather die and spend eternity with the homely ghosts, than live with her own parents! Although I’d love the movie regardless of what anyone else thought of it, I was delighted to discover that this off-beat horror-comedy was actually a big success (both commercially and critically) when it was first released, bringing in over $70 million at the box office (from a budget of $15 million), and scoring the Academy Award for Best Makeup, as well as three Saturn Awards (Best Horror Film, Best Makeup, and Best Supporting Actress for Sylvia Sidney, who plays the Maitlands’ scornful case worker in the depressingly-bureaucratic underworld). There was also a BAFTA nomination for Best Visual Effects, which I think it should won, because it still looks pretty eye-popping today, despite the tight budget… and I have to say, I much prefer the stop-motion animation that’s used here to the soulless CGI that’s employed in so many modern movies. Sadly, the movie’s prosperity/popularity isn’t reflected in its DVD presentation… I mean, the film itself looks/sounds great, but there aren’t really any extra features worth mentioning… and all the studio could be bothered to scrape together for the “special” 20th Anniversary edition was a couple episodes of the spin-off cartoon series! Tch! P.S. 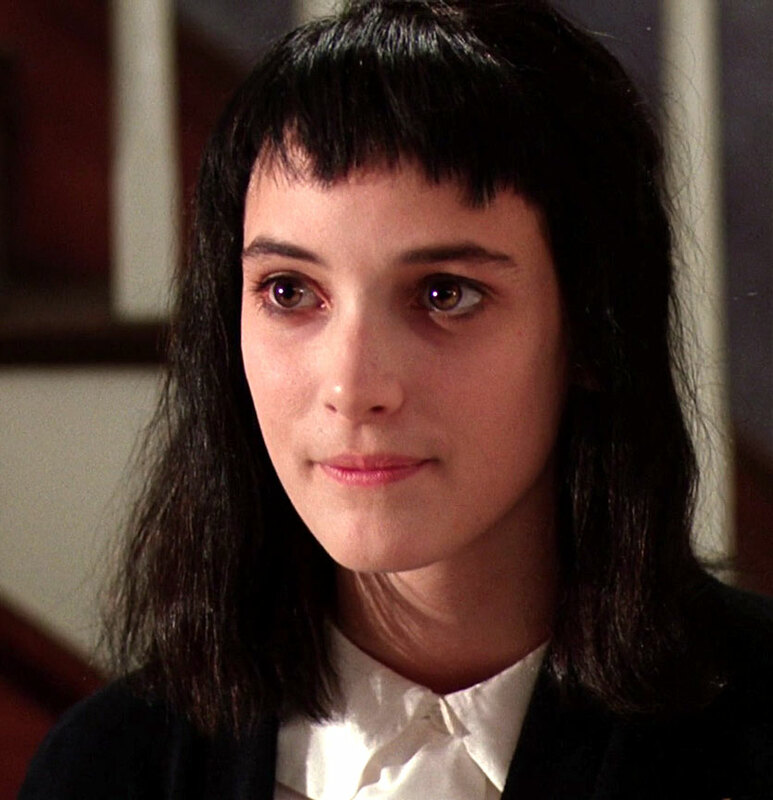 Apparently when Ryder appeared on Late Night with Seth Meyers back in August, she claimed that she’d soon be reprising her role in a long-awaited sequel… while Keaton and Burton are also rumoured to be returning to their respective posts. Hurrah? 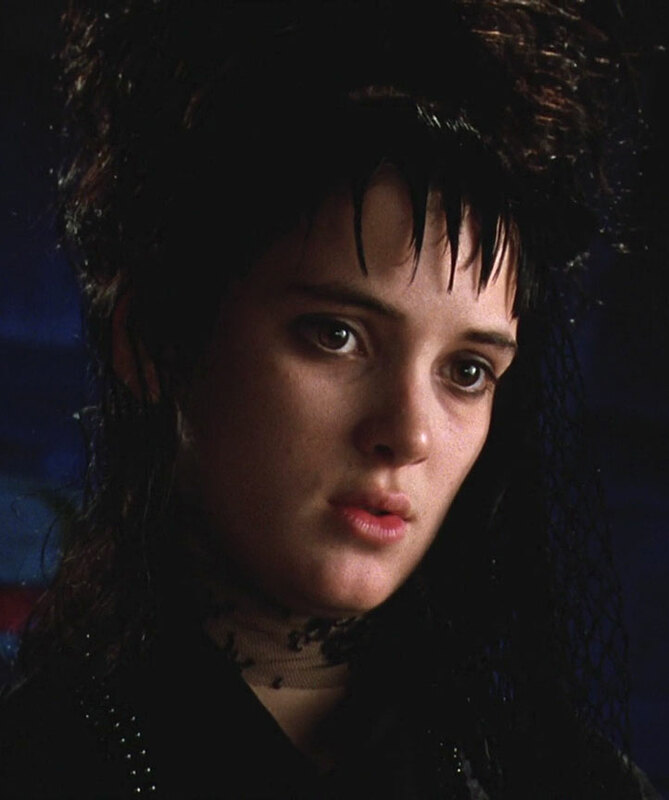 This entry was posted in Rants about Films and tagged Beetlejuice, Catherine O'Hara, Geena Davis, Gothiness, Lydia Deetz, Sylvia Sidney, Winona Ryder. Bookmark the permalink.